Listen to Pulp (Featuring James Murphy)’s ‘After You’If this is what retirement looks like, sign us up. Watch James Murphy Get Sacrilegious in The ComedyAlong with Tim and Eric. This Exclusive Teaser for The Comedy Isn’t Like Most TrailersThe movie stars Tim Heidecker, Eric Wareheim, and James Murphy from LCD Soundsystem. James Murphy Judges Vulture’s Song of Summer ContendersPlus a suggestion of his own. ‘Do Ya Thing’ Video: Gorillaz, James Murphy, and Andre 3000 Could Stand to Do Some CleaningThere’s also an entire bowl of severed ears. Listen to the Thirteen-Minute Version of Damon Albarn, James Murphy, and Andre 3000’s ‘DoYaThing’Do you have a couple of minutes? How about thirteen? James Murphy Is an Actor NowIn a Sundance movie, no less. Paul Rudd Will Get an Anchorman Sequel Made One Way or AnotherPlus: Russell Crowe dead. The LCD Soundsystem Leak: What Is James Murphy Sad About Now?Sorry, James Murphy. Hear a New Song From LCD Soundsystem’s James Murphy, ‘Oh You (Christmas Blues)’A track off the upcoming ‘Greenberg’ soundtrack. 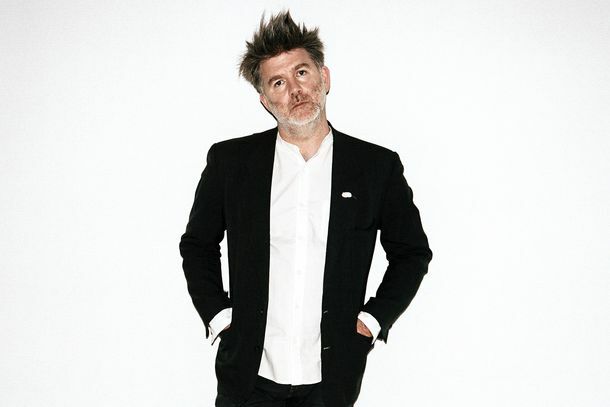 See LCD Soundsystem’s James Murphy in the Studio, a PoolThe band has provided some behind-the-scenes recording and diving footage. James Murphy and Friends Positively Hot at P.S. 1’s Warm UpMostly they took it back to 2002 with their signature revival of disco-heavy electro-funk.